NAIROBI, Kenya — Three Americans, one Australian and one New Zealander have been shot dead by poachers in an unprovoked attack at a safari camp in the Samburu National Reserve, approximately 300km north of Nairobi in northern Kenya. One American tourist disappeared during the altercation and her whereabouts is still unknown. Quick thinking on behalf of the tour operates saw the remaining tourists escape the camp site unharmed. The twelve surviving tourists and two guides are currently receiving medical attention in Nairobi. After questioning the survivors, Police are now following up on several leads, both with the suspected poachers and the missing American tourist. It is unknown who the poachers were or how many were in their group. 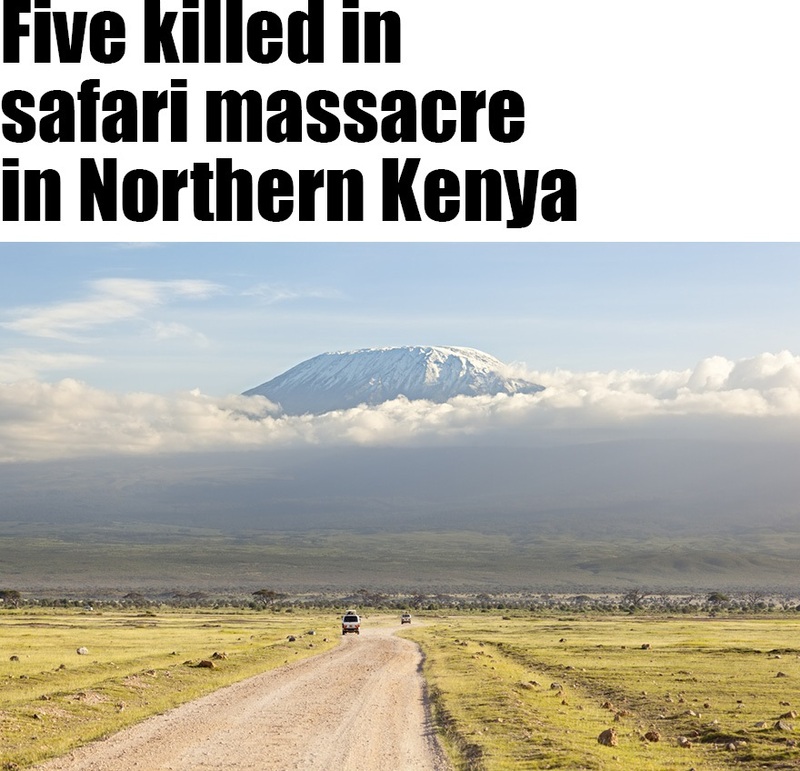 Several of the poachers were reported to be armed with assault rifles, weapons which were used to kill the five tourists. The violence has brought expressions of concern from the Kenya Association of Safari Tours, which said spates of violence across the country has been on the downturn in recent months, and this attack is an alarming change for the worst. The Government respond in a statement that it was directing the Police to work with the Kenya Wildlife Service, the body that manages most game parks, to tighten security everywhere. Tourism is a major contributor to Kenya’s economy with over 700,000 overseas visitors to the country each year. The majority of those visitors come to experience African wildlife, first-class hotels, luxury lodges and variety of safari tours. Previous Post The Benevolent Deception is coming . . .